Angela Boatman is an assistant professor of public policy and higher education at Peabody College, Vanderbilt University. 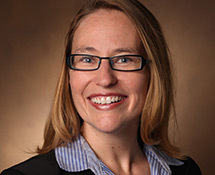 She has over six years of experience working with state-level policy directors, researchers, and data in Tennessee, and has focused on the evaluation of college access and completion policies in several states, particularly in the areas of postsecondary remediation, instruction, and course delivery models, and financial aid. Dr. Boatman holds an EdD in higher education from the Harvard Graduate School of Education. She leads one of CAPR’s supplemental studies (on the Emporium model) and contributes to the assessment study.